With each exhibition, Loytee presents a collection of original designs to showcase the technical capabilities and trends as we do extensive research in the international markets. Often our customers will order FROM our selection or make adjustments to customize the piece to their tastes. We also work exclusivelywith retailers' designs which are never shown to the public. Exclusivity and integrity are key themes at Loytee and it's this type of trust that we look to build with all our customers for a lasting relationship. 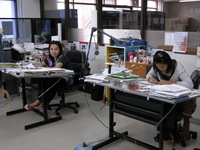 We do not produce any catalog as we are a 'made to order' company and feel our work is best seen in person. We encourage our customers to meet with us at our factory showroom or at the numberof exhibitions we participate in, namely Vicenza Fair and the Bangkok Gem Show.